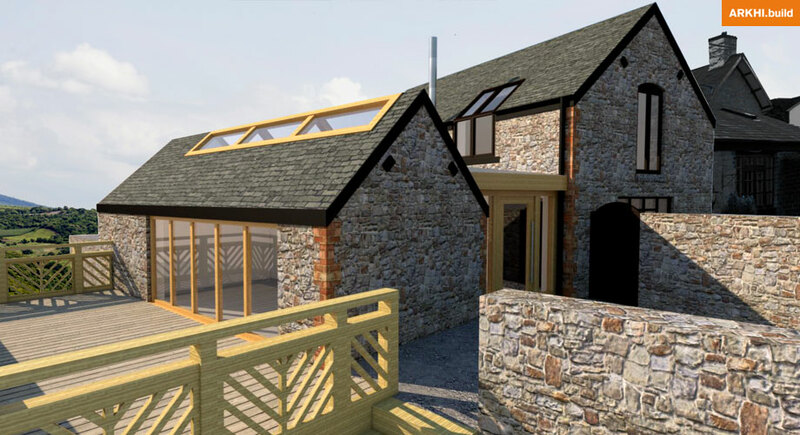 We were appointed to prepare a feasibility study including budget cost estimate for the renovation and link-extension between a main Barn Conversion to the existing Outbuilding. The key client requirements were to take advantage of the surrounding scenic views towards the Wirral peninsular. 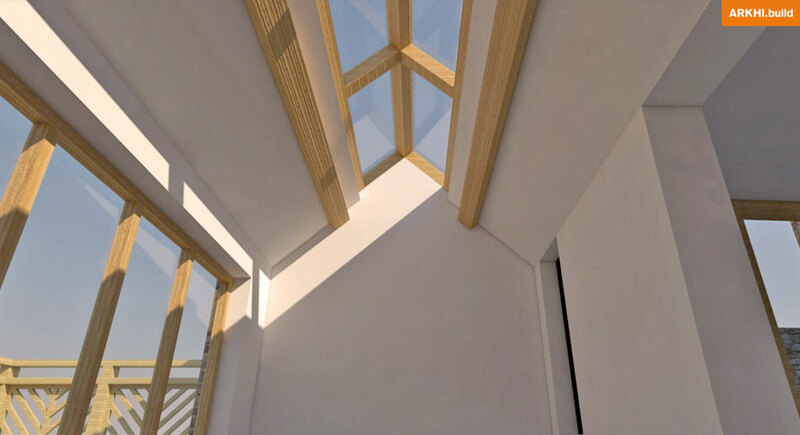 The design of the flat Zinc Roof was derived from constrains imposed by the existing openings within the buildings.